We're proud to offer the First Tunnels Construction team. 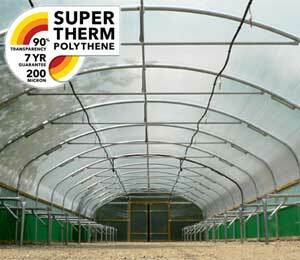 We have a team of dedicated polytunnel construction experts who have been there and built that. 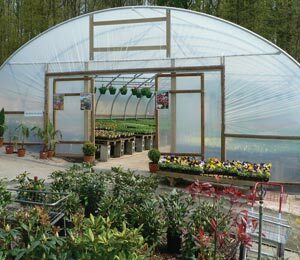 With over 100 years experience between them, they have a wealth of polytunnel construction knowledge and are more than happy to share tips and advice with any of our customers. Many of the team have been quite literally 'hands on' developing the First Tunnels vast array of construction videos and in depth downloadable instructions. 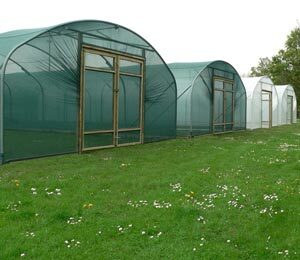 If you are experiencing problems with your polytunnel construction, our construction team are available to answer your questions and help in whatever way they can. 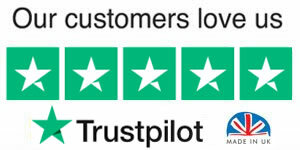 Simply call 01282 601253 on week days between 9am-5pm...PLUS weekend cover on 07801 601253, between 9am-5pm or contact us. 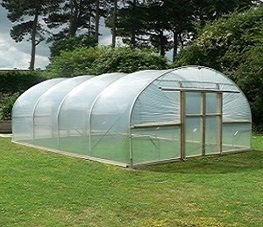 Alternatively, you can visit our construction resources at polytunnels.co.uk. 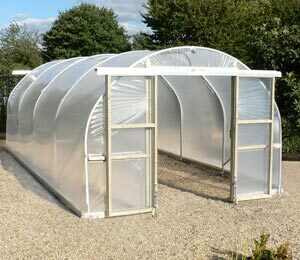 The First Tunnels team can also travel to your site and construct your polytunnel. 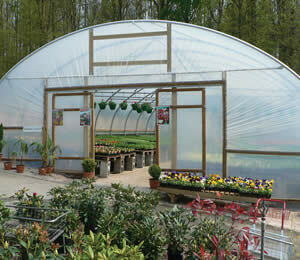 Depending upon the size of polytunnel specified, most domestic sized installations can be done within a day. Commercial and multibay constructions vary depending upon size and complexity. 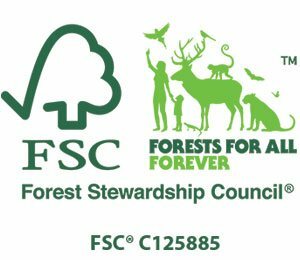 Call 01282 601253 or contact us to find out more. 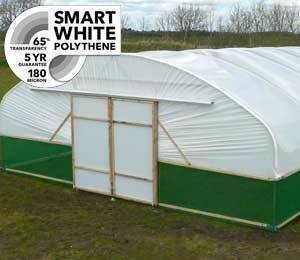 To view a construction of a 16ft x 30ft Polytunnel, completed in six minutes (6 hours realtime), click the movie! 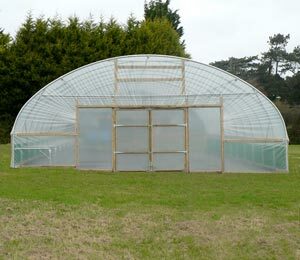 How long does it take to build a polytunnel? 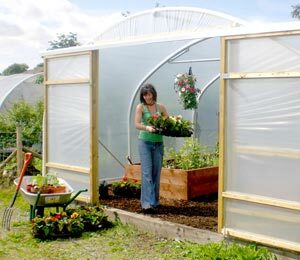 Putting up a polytunnel is like the biggest piece of flat pack furniture you could imagine and although it might look and sound daunting, erecting a polytunnel should actually be a straight forward, rewarding experience. 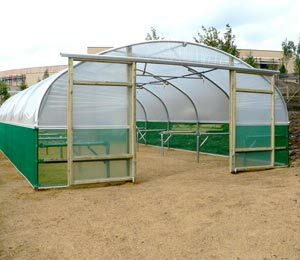 We appreciate that putting anything together you’re not used to can initially feel a tad overwhelming and we are conscious that there are many factors and variables that influence the work involved when constructing a Polytunnel. 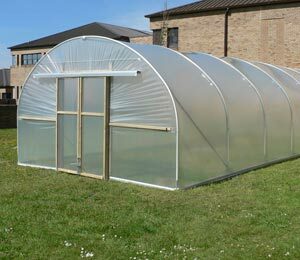 Digging conditions, weather, the way it’s secured to the ground, DIY capabilities and size of Polytunnel, all contribute to the length of time it can take, so it would be wrong for us to advise a specific timescale. 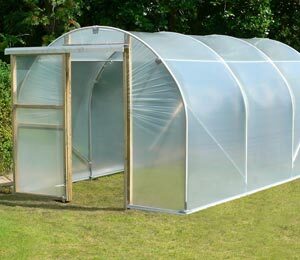 Sorry, there is no definite answer….For example a 10ft x 20ft Base Rail version Polytunnel would require 10 holes digging where as a 30ft x 90ft long would require 32 holes – and depending on digging conditions the 10 difficult holes could take longer than 32 easy holes. 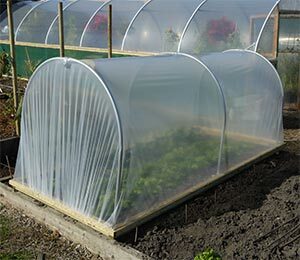 It's definitely not the sort of job you can complete on a lazy Sunday afternoon but building your own polytunnel can save you hundreds of pounds in construction costs and you can stand back and say “I built that!” All you need are some basic DIY skills, decent weather conditions and some willing helpers. 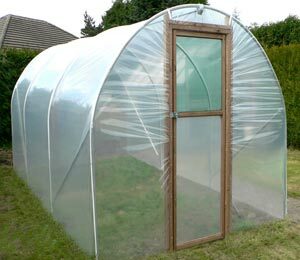 Why not rope in friends and family to help make a party of it with the promise of free vegetables once your polytunnel is up and running! 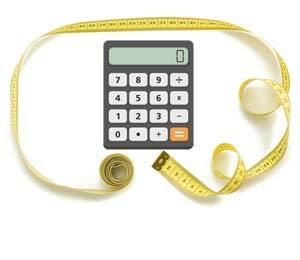 The more preparation you do, the more likely the project will proceed smoothly without surprises. 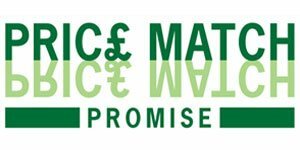 Ask to see a copy of the instruction manual before taking the plunge so you can check how straightforward they are to follow and learn exactly what’s involved - our Construction Guides can be downloaded free of charge. Getting all your tools together is a must. There’s nothing worse than getting stuck in and then realising your battery operated drill needs charging or forgetting your ladders are out on loan. Make the process as easy as you can by preparing your site ahead of time. 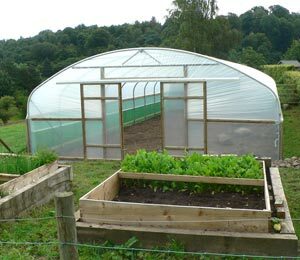 Remove all vegetation, mark out the basic shape of the polytunnel and even do a “trial dig” of the proposed site. This way you will have a good idea if the ground is going to be easy or problematic and plan accordingly. 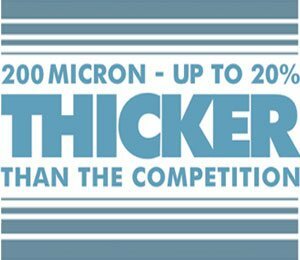 It might even mean considering hiring a mini digger or extra muscle power! When the kit arrives, check that all components are there, and read the instructions carefully….again! How many times are we told to read the instructions before we start to use something but skip bits because we’re in a hurry? You’ll find it extremely beneficial to familiarise yourself with the construction process and component/part names. 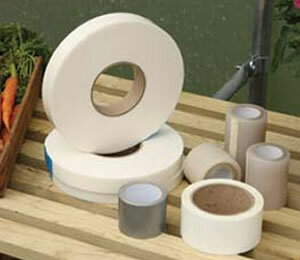 Watch our handy step by step Construction Videos as this will help save you time when the “big day” arrives. Although it is hard to predict the weather…. 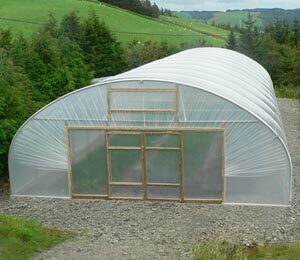 a still, dry day is always best – tempers may fray trying to install the Polytunnel if the weather isn’t favourable. 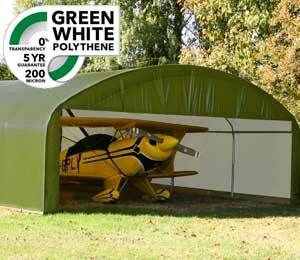 You’ll also risk setting sail to the most expensive kite you’ll ever fly, if you’re trying to put a polytunnel up in anything but the calmest of conditions. 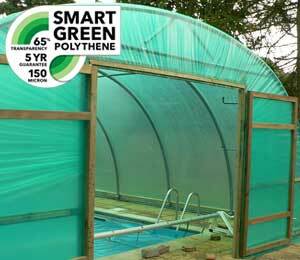 Don’t forget you are literally putting together a small building (quite often the size of a swimming pool). 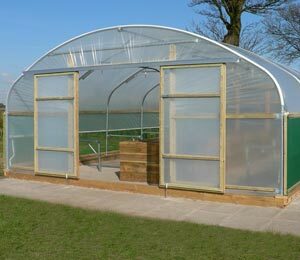 A substantial piece of kit that is going to last many, many years and pay for itself in fresh fruit and veggies time and time again. Now that’s nothing to be sniffed at.